Living in wine country, we never shy away from an opportunity to design an exterior space, especially one with endless potential for lots of creative use. 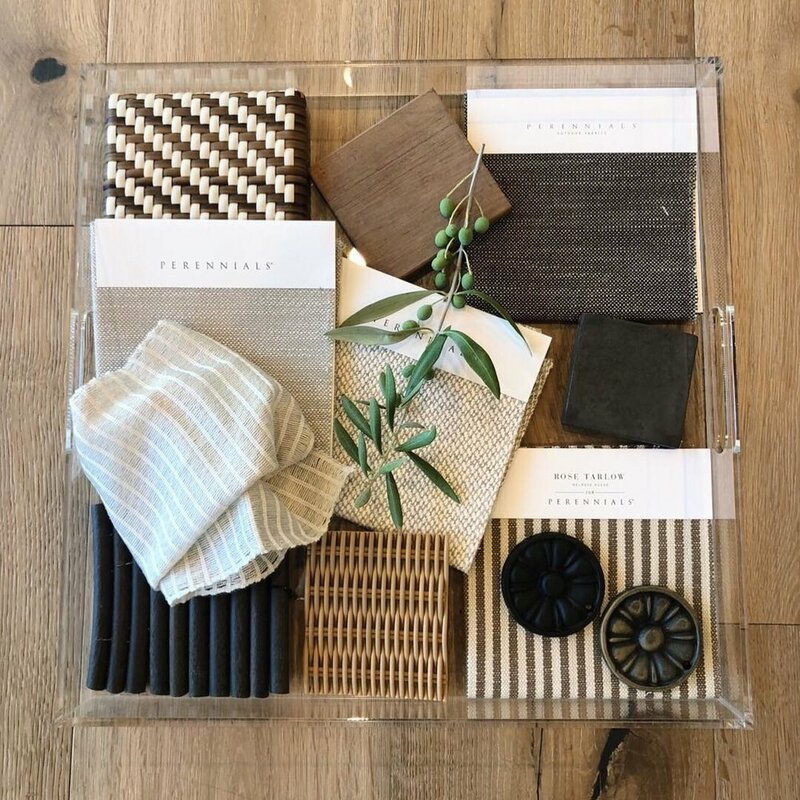 We’re currently in the process of designing a dream oasis in the backyard of a client’s home—featuring a pool house, fire pit, and master bedroom deck—and we’re having so much fun playing with colors, pattern and texture for this one. 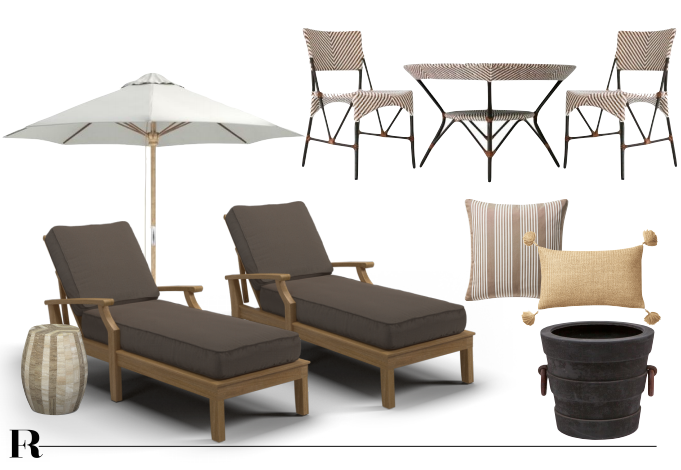 Here’s a peek at our design process for this neutral backyard oasis. We pulled all of our favorite fabric swatches and texture goodness from JANUS et Cie, Perennials Fabrics, Gloster, and Thos. Baker for this project’s mood board to get started. It’s definitely safe to say we’ll never ever get tired of using neutrals, especially when they are surrounded by nature’s color palette. Nothing creates gathering in a backyard quite like a fire pit, especially on the chilliest of nights in Wine Country. Surrounded by some comfortable seating with weather-safe fabric and a hammock for truly lounging back, this space should offer year-round enjoyment. A spot for summer sunbathing is a must-have, so some options for comfy and neutral lounge chairs, an umbrella for shade, and a conversation set for snacks and cocktails are inviting everyone to stay a bit longer. These picks and pieces are just the beginning of this outdoor project. Be sure to keep up with us on Instagram to watch our progress and to see the final product revealed.